The National Turkey Federation (seriously) is responsible for breeding and presenting candidates for a Presidential pardon. 80 hatchlings are selected as potentials and are fed a high calorie diet to make them as fat as possible for the cameras. Of those only 20 of the largest and best-behaved make the cut. They then go through an intensive regime where they are trained to handle the spotlight so that they don’t panic amidst the flash photography and noisy crowds. Only about two make it to the next round where they are pampered. This year’s candidates got $350 a night hotel rooms covered in wood shavings. After being pardoned they are sent to a farm to live out the rest of their years in peace. It turns out though they don’t live very long. The high calorie diet means that they die early, obesity related deaths. Of the past eight turkeys that have been pardoned, seven died less than a year after they earned a pardon. 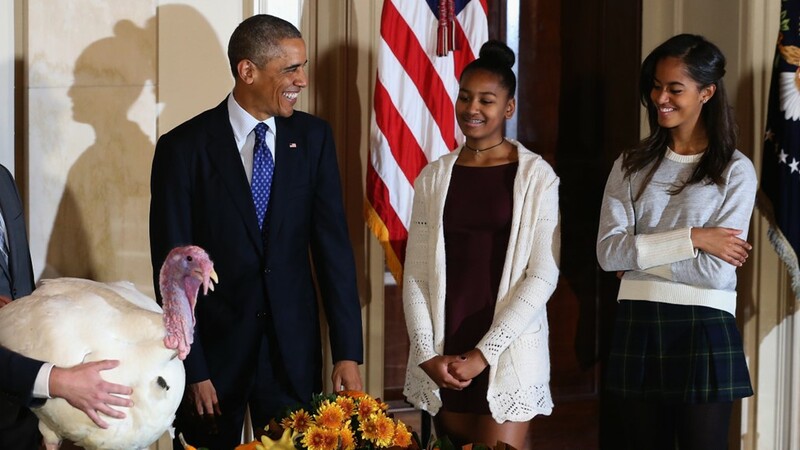 Read about how contrary to popular belief, the history of the Presidential Turkey pardon only goes back to the late 80s, how myths around the tradition got started, a list of the names of each of the turkeys pardoned, and more over here.